The first ever Community Integration Awards ceremony was held in October at the Impact Hub, King’s Cross in October 2017. The Awards were created by the MigrationWork Trust, MigrationWork CIC’s charitable arm and this year recognised projects in three categories: grassroots, tech and innovation, and research. 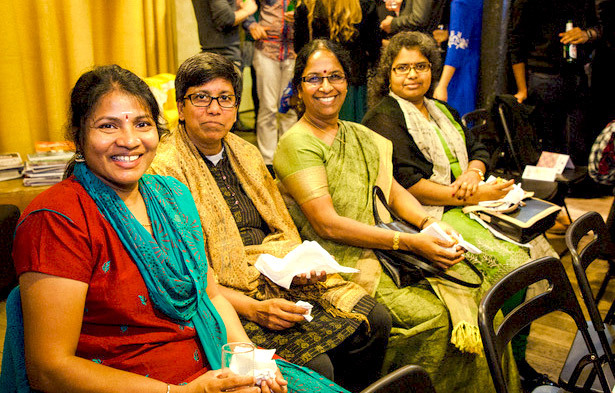 Eighty guests from across the refugee and migrant sector came to celebrate and enjoyed food by Papi’s Pickles, a social enterprise providing employment to Sri Lankan and South Indian women. The audience heard from keynote Human Rights campaigner Laura Alvarez and expert speakers; Maryam Pasha, Ambica Jobanputra, and Sue Lukes. Their informative talks on Storytelling and Pitching, User Centred Design and Project Evaluation shared best practice to support the development of not only our winning projects, but also shortlisted, nominated and wider community projects. Inspiring the way in local integration, Grassroots Champion winner OMF brings communities together, through music. It provides quality musical instrumental tuition to local schools, singing lessons to the Women’s Voices Choir (for refugees, asylum seekers and victims of domestic violence), and African drumming classes for victims of human trafficking. OMF believe that music has the power to inspire, enrich and transform the lives of ordinary people, as well as serve as a catalyst for social cohesion and community integration. They aim to make music accessible to those who can’t afford it, and give those who might otherwise not have had the opportunity to take part, the chance to enjoy and benefit from regular musical engagement. OMF’s achievement in the awards was recognized in local media including That’s Manchester TV and Business Manchester. Winning the Grassroots Champion Award has been a tremendous experience – from the day spent making the film in Manchester, all of the expert help we’ve received to develop and expand our organisation, and of course the fantastic awards ceremony in London. The process has been so encouraging for both the team and the groups we work with. We are very grateful to the Community Integration Awards for this wonderful opportunity and excited about what the future has in store for the OMF. This innovative project allows refugees and migrants to teach others in their native language via Skype and demonstrates how a little bit of technology can allow those in isolated dispersal areas to enter into work. The project harnesses what refugees offer, and empowers them in the role as givers rather than receivers. Chatterbox believe their work is vital because the skilled opportunities for displaced people in the UK are so limited. “Refugees and asylum seekers in our communities experience greater levels of unemployment, exploitation in work, and poverty than almost any other ethnic group. This is despite the fact that refugees here have often studied to an advanced level. In surveys, more than ten percent were previously teachers and many more were from professional backgrounds like engineering and medicine. Chatterbox offers them flexible, paid work that can fit around their other commitments”. 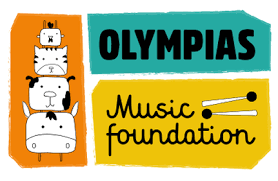 We’re thrilled to be in the company of some really innovative and empowering projects – such as the Olympias Music Foundation. The award gives us additional credibility, and the amazing video you’ve produced is another way to communicate our vision. The strong competition in this category led to joint winners who both demonstrated exemplary community impact. Race Equality Think Tank Runnymede Trust were joint winners with ‘Our Migration Story’. This project makes an important intervention in the much-needed conversation on migration, British colonial past and the legacy of the Empire. It challenges the history curricula and invites us to consider how the history of Britain is intermingled with the history of migration. This disrupts and unsettles the unhelpful, binary narratives around ‘Them and Us’, especially in the times of revival of nationalist sentiments in Britain. This fantastic project clearly involved many historians, schools, and researchers. It enriches the curriculum, makes research relevant and focuses on influencing future generation. The online resources, lesson plans and excellent strategy for dissemination make this project highly accessible and impactful. Migration research experts COMPAS also demonstrated outstanding community impact with their research on migrant children destitution. The project draws on two pieces of research, that map needs of vulnerable migrant children, to develop a toolkit for local agencies at a time when austerity measures are likely to be constraining their capacity. This is a useful and timely toolkit, helping to support agencies, grassroots organisations and local authorities to access accurate information about the most marginalised and vulnerable. The research is deserving of wider recognition, particularly at a time when the most vulnerable migrants have never been more at risk from the effects of cuts to voluntary and public sector support services. For more information, head to www.integrationawards.uk and the Community Integration Awards Report 2017 (PDF).